Rebecca and Aidan's recent engagement shoot and wedding took place within three days of each other as they both traveled from the UK to be married in Howth, Co Dublin, which by all accounts is a beautiful scenic part of County Dublin. The day we undertook the engagement shoot was the first day to meet the lovely couple but this did not stop us from having some fun during the shoot in a place unfamiliar to us all. We decided to photograph the engagement shoot on the fantastic grounds of the Deer Park Hotel and Golf Club, where the couple were staying prior to their wedding.The wedding ceremony itself took place in the Church of the Assumption in Howth. Afterwards the wedding party celebrated with a meal in the Aqua restaurant located on West Pier, Howth. The windy and showery weather was against us throughout but we manage to grab some photos in between the incliment weather. Here is exactly what the bride sent to me as a testimonial: "We LOVE the photos! Thank you so so much. You have captured every moment perfectly for us and we are delighted with them. There are some fantastic ones too from the engagement shoot!. 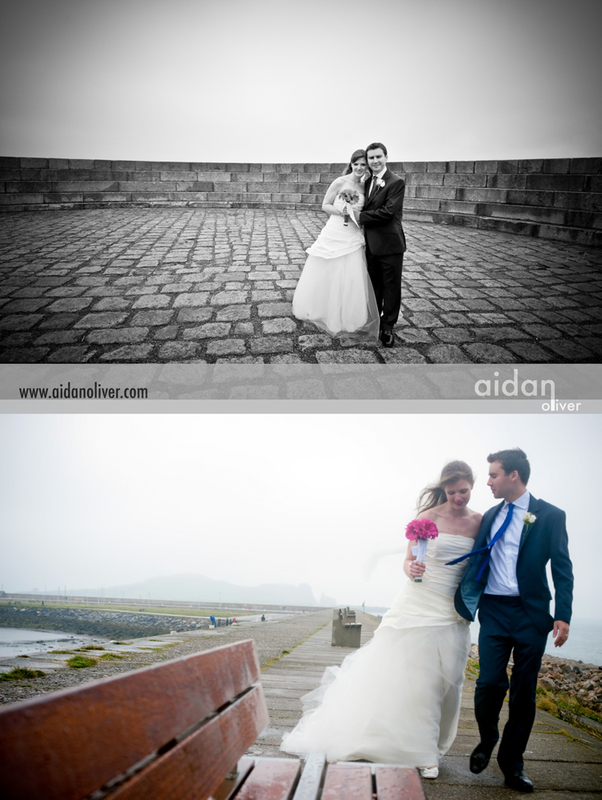 Thanks once again Aidan; you have made us very happy!!" We wish Rebecca and Aidan the very best for their future together. 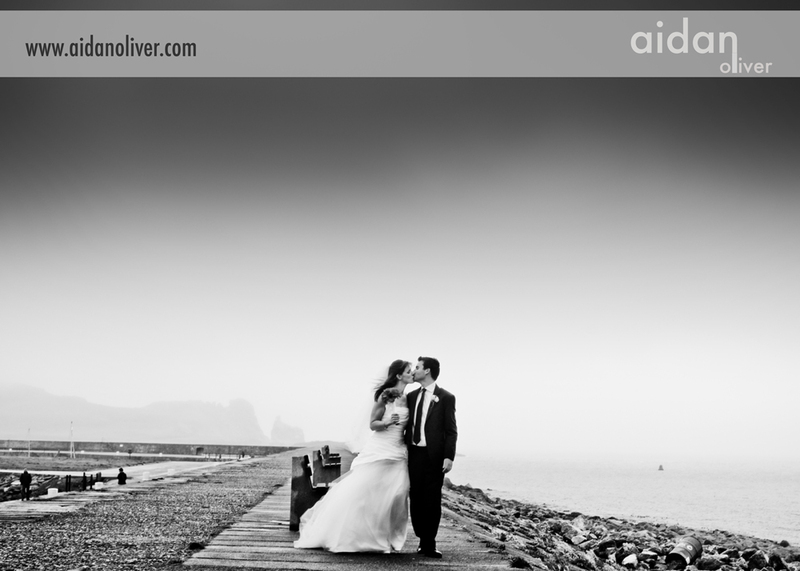 Aidan Oliver is available for weddings both in Ireland and also worldwide.